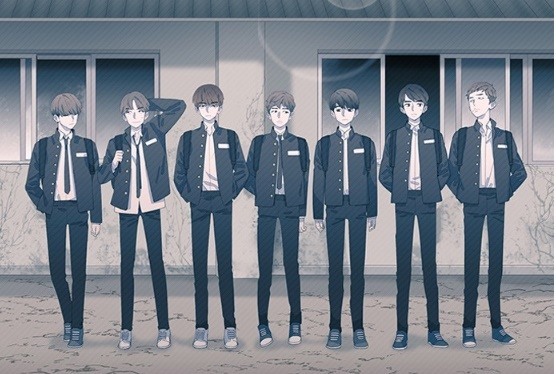 The “Save Me” recap is a series of articles about BTS’ webtoon series, giving you the gist of the story, plus an analysis and fans’ comments. It might contain spoilers. “The Most Beautiful Moment in Life Pt.0: Save Me” has finally come to an end with a bang with a double-episode finale this week after providing fans with an emotional roller-coaster every week over the last three months. Many fans felt sad and happy at times as they saw Seokjin try his level best to save the other guys in the episode, despite the task being extremely stressful and mentally draining. In the 13th episode, we saw the aftermath of Jimin’s attempted suicide in the bathtub and Seokjin was visibly upset and feeling sorry for Jimin who wanted to leave the hospital. The scene depicted an overall hopeless situation for everyone involved. 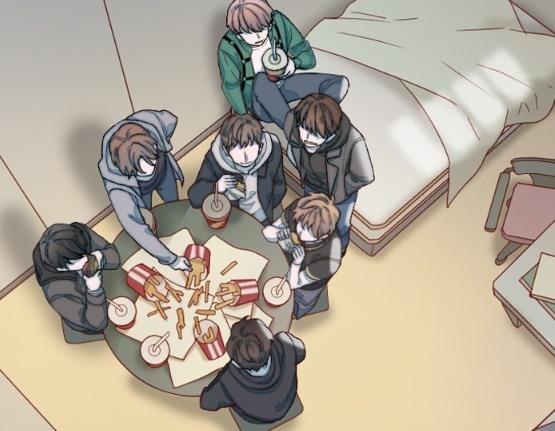 But the episode also had its bright side, treating fans to a rare sight of the seven guys having fun together as a group while eating fast food. It’s where the line ‘We can be happy when we’re together’ was said. The last two episodes were without a doubt the climax of the series both in terms of storyline and visuals. The 14th episode opens with the guys playing with sparklers. Then we see an altercation between Taehyung and his dad escalate into what seemed to be a murder. In the final episode, Seokjin tries to intervene in the tense moment before he gets killed for the first time in the series. One of the most memorable moments in the series came in the finale when Seokjin was accidently stabbed to death and that everything seemed to have been in vain. But then he opens his eyes and realizes he has another chance and also learns something profound as he utters, “You won’t make it out here alone in this entangled destiny. While another fan said, “BTS main lesson: you can’t go through life alone.